Dogs love to dig and they love to explore. Because of those two qualities, many people that own a home find that their neighbors have dogs that will dig under fences or jump over bushes in order to sniff, dig and mark the ground and garden. Dogs are notorious mess makers, and they are unforgiving when it comes to the beauty of your land, as they will freely dig wherever they feel the need. Even if you do not care about the state of your yard, a dog’s curiosity can put it in a lot of danger, because if the dog gets scared and is unable to find its way home, it can easily get lost and run into streets, or attack those trying to help it out of fear. Using a dog repellent in order to keep a dog from entering your yard is as beneficial for the dog as it is for you. 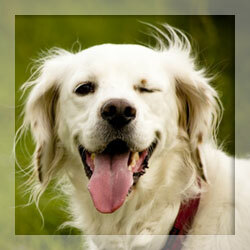 There are a number of organic dog repellents that produce a strong odor. That odor is harmless to humans, often smelling almost odorless. To dogs, however, the odor is foul and dogs will try as hard as they can to get away from the scent. If you spray this scent around your fence and garden, you can easily stop the dogs from entering those areas. Liquid Fence is a specific type of repellent that is available in stores and works to end bad behavior. If a dog has been on your property before, there is a good chance it has marked a specific area. Once that mark has been made, many dogs feel as though it is there right to return to your property whenever they like. Liquid Fence is placed over those areas so that if the dog returns, it smells something other than its mark, and it becomes hesitant to enter the property again (fearing that the lack of its smell means there may be another potentially dangerous animal on the property). An ultrasonic dog repellent is not going to wear off over time or after a rainy day like the liquid dog repellents. It also covers a far greater area that most of the liquids. If the noise can be heard by these dogs in areas that they are allowed to go (such as your neighbor’s yard), the dog is going to find the noise extremely irritating and either bark constantly out of annoyance or start ignoring the noise altogether if they feel they cannot get away from it. Because of this, ultrasonic dog repellents are great for people with large yards simply trying to keep dogs away from their home, but not for those in dense city areas where the noise can be heard by neighboring canines. By using a dog repellent, you can keep your neighbor’s dogs away and protect yourself, your property, and the dog. It is one of the most effective ways to keep dogs where they belong – in their neighbor’s yard.